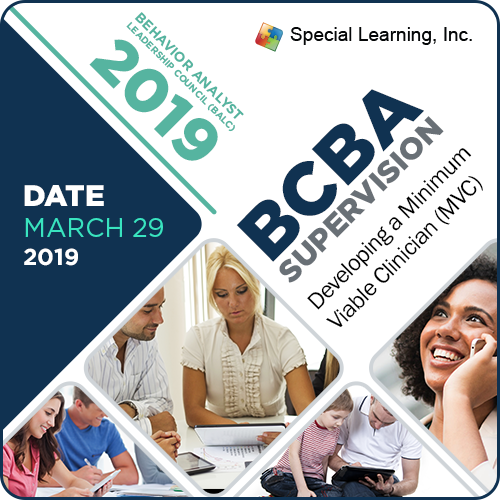 NEW HAVEN, CT - Special Learning, Inc. and other experts on the topic of BCBA® Supervision uncovered best practices and methods to providing high-quality supervision using the Minimal Viable Clinician™ (MVC™) Model at the 3rd Annual (Behavior Analyst Leadership Council) BALC Conference < https://balcllc.org/conference.html> on March 29, 2019. Now available on the Special-Learning.com website is the full presentation download. This purchase provides you with a PDF copy of the full presentation on March 29, 2019 at BALC. 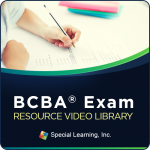 This downloadable guide is ideal for BCBAs that seek new methods, techniques, and tools to improve supervision in order to increase capacity and quality client outcomes. Download is available immediately after purchase. 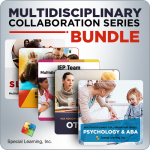 Minimal Viable Clinican™ and MVC™ are trademarks of Special Learning, Inc.